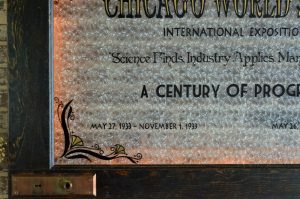 This unique Chicago World Fair statement art is based on the 1933 world fair in Chicago. 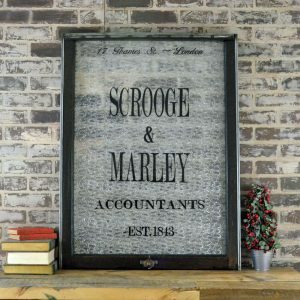 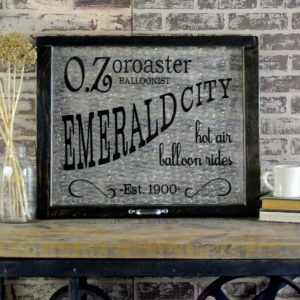 The lettered design has been hand painted onto reproduction patterned glass, displayed within a dark stained frame. 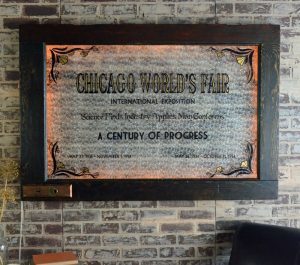 A back light adds the wow factor to this statement artwork! 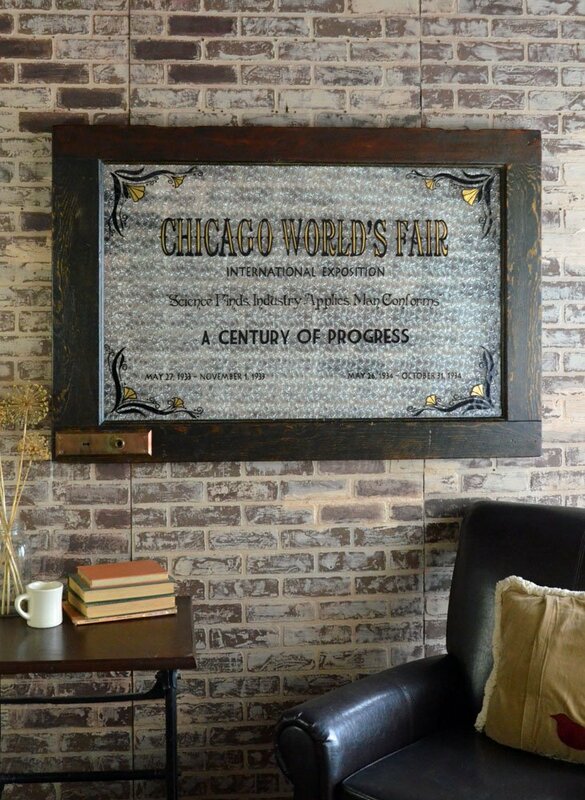 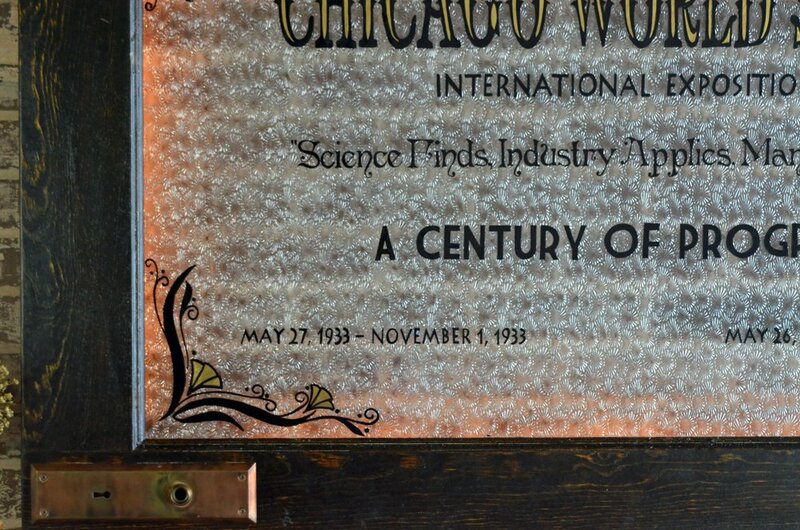 Impress your guests with this Chicago World Fair statement art – made from a section of a vintage door with reproduction patterned glass! 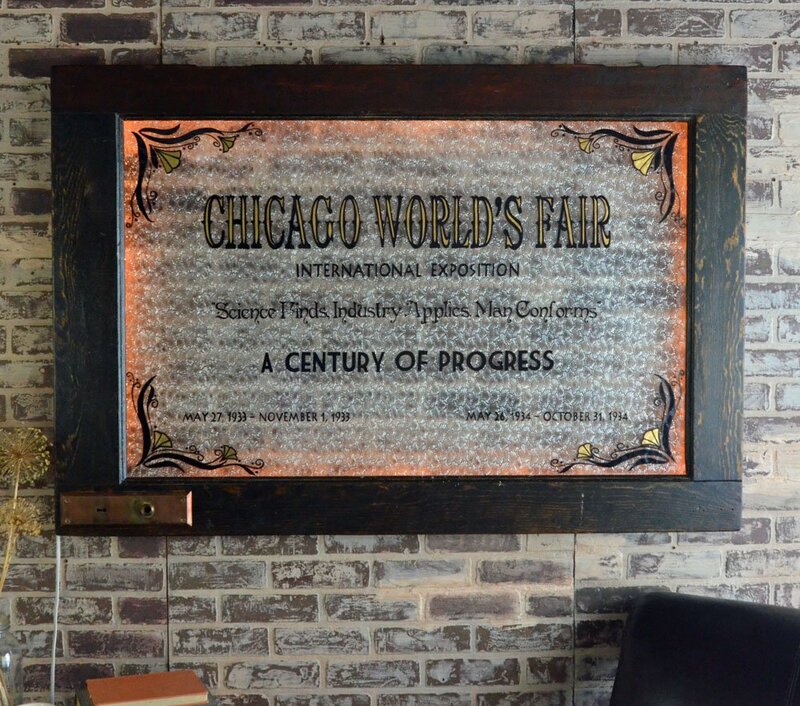 The hand painted lettered design was inspired by the 1933 Chicago Worlds Fair. 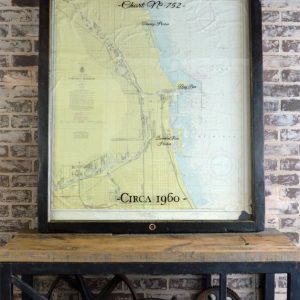 Local Chicago area delivery is available – please inquire prior to purchase. 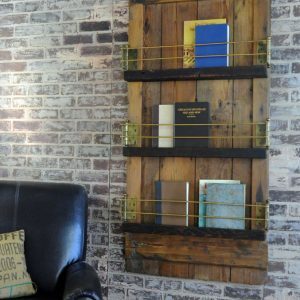 Hangs using two D-shaped rings on the back side (upper corners).